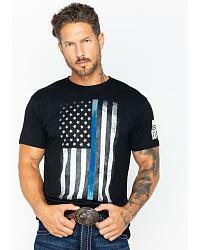 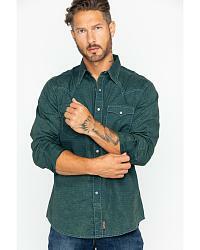 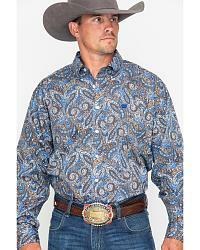 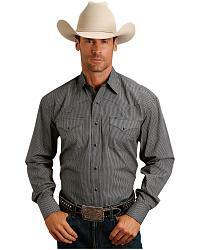 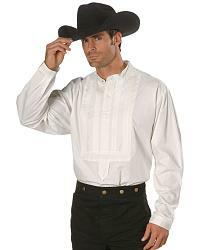 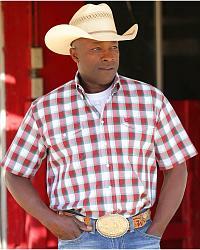 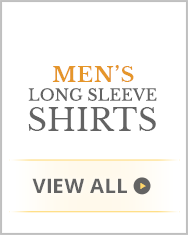 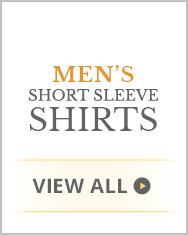 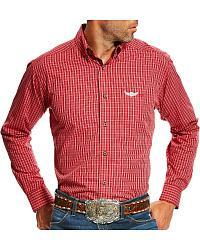 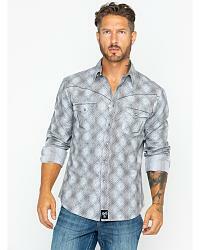 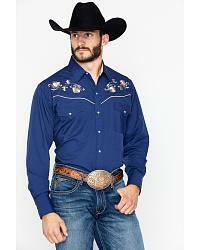 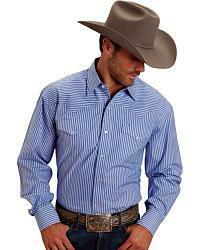 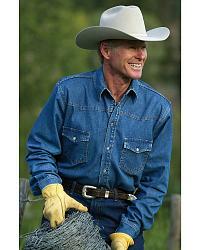 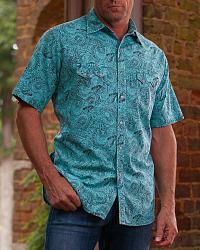 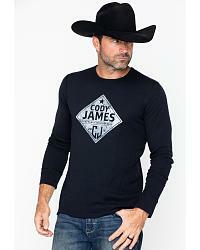 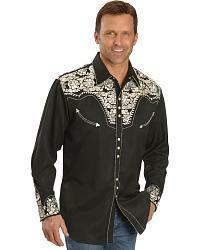 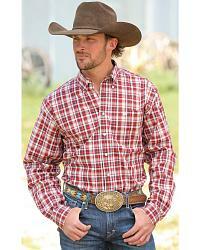 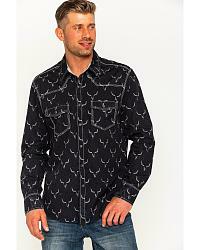 At Sheplers.com we have a huge selection of western and country shirts with all the styles for the modern cowboy. 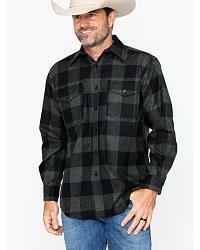 Browse through our men's plaid shirts or go classic with prints, solids or stripes. 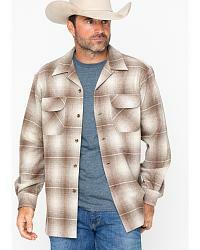 Feel the breeze of an airy denim shirt or try out flannel shirts for the cooler days. 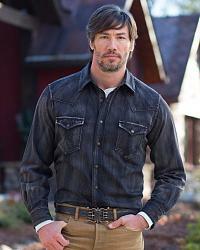 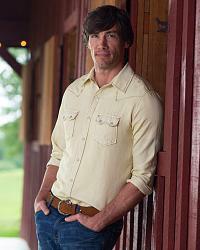 All of our men's western shirts are from the brands you trust. 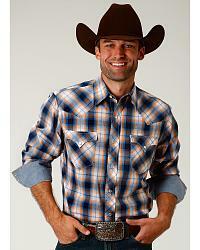 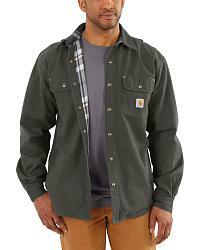 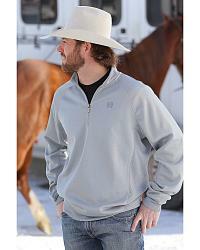 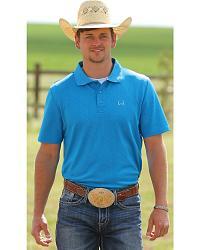 We have Carhartt shirts, Wrangler shirts, Ariat, Cinch, Roper, Ely Cattleman and more. 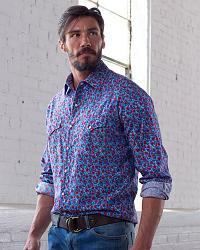 Looking for a dressy combination? 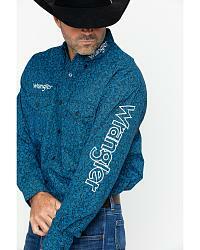 Match a long-sleeve shirt with our western suits and bolo ties, or go more casual with a western t-shirt and denim jeans. 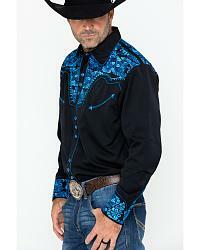 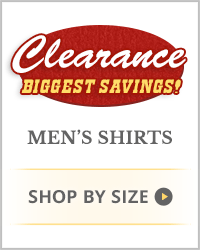 All of our cowboy shirts are on sale, so happy shopping!